The Full Moon itself illuminates our Mission, just as we’re in the process of opening up to Easily Learning (without irksome “Learning Opportunities”) new ways to Sustain our Priority Attention to it, Playfully Worshiping the way Mother Nature and Goddess Gaia/Pi Support us. 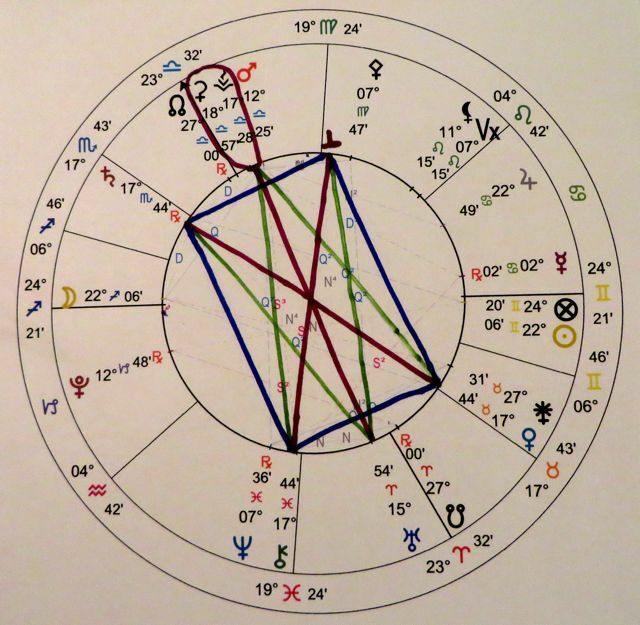 This corner of the Grand Cross is the corner of the major Configurations (Grand Cross, T-Square) that intersects the Grand Quintile (light purple lines) which signifies the Gift of Important Wisdom about Sustaining our Mission. More on this later. North Node-Ceres is also one of two that are Diamond Stars (a T-Square and a Finger of God pointing to the same place). A Diamond Star is the Gift of a Key to Resolving a Dilemma. The Gift of Easy Learning flows from our new but growing Realization that The Most Important Thing is Letting Go of our Attachment to Abuse and Privilege. The “Bowl of Grace” under the North Node-Ceres T-Square consists of Trine Bridges (the Easy Way) by Saturn-Hylonome (The Most Important Thing is Letting Go of Codependence) and dwarf planet Nessus (Abuse and Privilege). #MeToo is a step in this direction, as Reactions to Abuse that are Held Inside are not likely to Heal, and Unconscious Attachment to Privilege is not likely to Change without Exogenous Wake-Up Calls. As Alan said, it’s harder to Let Go of our “Good” Karma (the Patriarchy considers Privilege to be Good Karma) than our “Bad.” And one reason for Holding Abuse Inside is Fear of Losing Privilege. The new Saturn-Hylonome Cycle doesn’t Initiate till 25 December of this year (10:30 am PDT), at 11 Capricorn, “A large group of Pheasant on a private estate,” invoking the Enclosure of the Commons. In 18th-Century England the Privileged Aristocracy took lands that had been dedicated to the Sustenance of All (the “Commons”), and declared them to be Private Property where all of their Resources belonged to the new “owner,” while the People lost their right to hunt and forage. Have you thought much about how your concept of private property jibes with 5D? As the measure of individual Success at the Expense of Others, private property is a foundation of the modern Patriarchy. 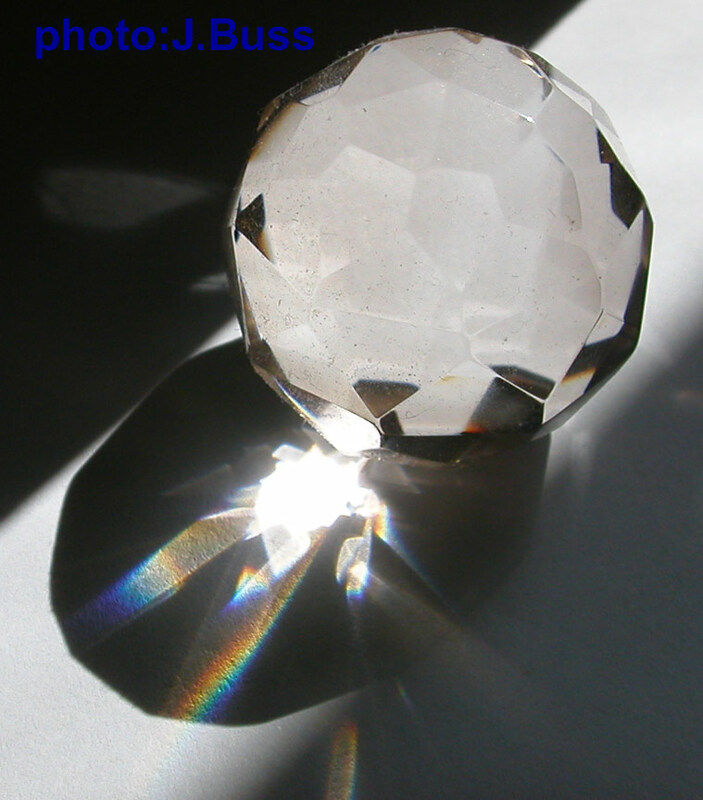 The second Diamond Star in the Grand Cross focuses on the Moon – Authenticity, Instinct, Yintegrity. It’s Bowl of Grace is comprised of Trine Bridges by Venus (Values) and asteroid Sappho (Self-Love). The Full Moon will also Illuminate Values which we continue to hold but which Sabotage our Authenticity, Instinct, Yintegrity, and Self-Love. The post is actually from http://www.onenessofall.com/newest.html , but they use a blog template that doesn’t allow “deep linking” (linking to a specific blog post), so I’ve linked to Pauline’s reblog of it. And with thanks to Eliza at https://bluedragonjournal.com/2016/10/09/marilyn-raffaele-the-arcturian-group/ for the original tip. My usual approach is to assume that the most difficult part of Letting Go of Karma (which we variously refer to as Patterns, Habits, Archetypes, Unconscious Beliefs, etc) is what we call Noticing. In general, we don’t change an Unconscious Pattern till we bring it into Consciousness – till we Notice the original Pattern in ourselves. In my experience, Changing a Pattern once we Notice it is a lot easier than Noticing for the first time. And of course we can always PIAVA Changes. However, as I’m reading the intriguing book by Gretchen Rubin called Better than Before, about Changing Habits, I realize (Notice?) that some of the distinctions and techniques she talks about could be very useful to anyone who has been trying to Consciously Change a Pattern and having difficulty making it stick. For instance, she points out that for some, Abstinence works much better than Moderation, and vice versa for others (pp.136-143). She talks about the possible benefits of Scheduling, with the notion that once you’ve Scheduled Time for something, you’ve given yourself permission to NOT do it when it’s not Scheduled. Johnny Cash’s To-Do List (p.86) included a Time slot for “Worry”, opening the possibility that the rest of his day could be spent more in the Present Moment. In these max-Change, Ego-Deathful, high-Anxiety Times that trick could be very useful. “A highly effective strategy, but unfortunately it’s practically impossible to invoke on command. Unlike all the other strategies, it’s not a strategy we can decide to follow; it’s something that happens to us” (pp.122-3). With our knowledge of the Seventh Harmonic and the Mjolnir, we actually know when it’s likely to occur – such as right now – and we can precisely time and target our PIAVAs accordingly, if we can avoid Temptations to Judge. The Jupiter (Expansion) Septile (Seventh Harmonic – Timing) Yod (Admonition to Pay Attention! ), based off the Septile from Ceres (Sustainability or Making Permanent) to the Conjunction between Neptune (The Unconscious) and the South Node (Karmic Patterns), persists for several more days, and Jupiter is Initiating Mercury (mind, Communication), which should make it much easier to bring matters into Consciousness, with the caveat that Mercury is a Trickster that can easily stick us into Either/Or and Judgment. It would be timely to differentiate Judgment from Discretion. In simple terms, Judgment separates the “good” from the “bad,” while Discretion Chooses what’s more preferred over what’s less preferred. In situations where Unconscious Judgment is involved, the distinction can be fuzzy. One way to explore Unconscious Judgment might be to ask yourself how comfortable you’d be with the less preferred if the more preferred wasn’t available. Clear Quartz, cut into a ball of many facets. Looking at the Stellium reductively, we examine the nature of each of the Energies birthed into it. Seen statically, a Stellium is a cluster of planets. Viewed dynamically, a Stellium is a mass birth of Cycles. The Energy of a Cycle is strong at it’s birth, though we can expect considerable Resistance as those who benefit from the status quo seek to Deny the Changes. So a Stellium is a cauldron of Creation. For the next fifteen years the most Sustainable view of the Sacred is that we are to surrender our Emotions to Spirit rather than try to analyze them. On July 12 Ceres Initiates Mars at 25 Libra – “The sight of an autumn leaf brings to a pilgrim the sudden revelation of the Mystery of life and death.” The 3-year Mars-Ceres Cycle governs whether we use our Physical Energy in Sustainable ways. We have endings giving a seeker a relief from Grief. By acknowledging Mystery we avoid wasting our Energy on trying to make sense of Emotions. By honoring Emotions in and of themselves, without trying to trap them in Cause-and-Effect cages, we liberate our Instincts and are thus able to process information and respond to it orders of magnitude more quickly. We also save our intellect for more productive endeavors. Also on July 13, the North Node Initiates Mars in 24 Libra, “A Butterfly with a third wing on its left side.” Mars-North Node is pursuit of our Mission. The left side emphasizes the Feminine, and Magic. It’s a 2-year Cycle. The Butterfly implies impermanence and frequent transformation. The next day, the North Node Initiates Ceres in this degree. The 3-year Ceres-North Node Cycle involves our persistence in honoring our Deepest Desires, and also suggests paring away from our lives what doesn’t serve our Mission. We don’t need to understand our Mission in order to PIAVA that we pursue it vigorously. That will give us an advantage and allow us to respond quickly to its evolution, increasing our progress. It will also make it easier to stick with it, and create less wasted Life. Back to 25 Libra – the Leaf, the Pilgrim, and the Mystery – for the Vesta-Mars Initiation on July 15. Vesta being the fastest of the big four asteroids, its speed is closer to that of Mars, so the Mars-Vesta Cycle runs four years, making it the second-most senior Energy in the Stellium. Mars-Vesta is about Walking our Talk, putting supporting our Beliefs with Work. Allowing our Beliefs to govern our Actions will regenerate our Energy. Our Mission is conveyed to our Ego through our Deepest Desires. When you actually pursue your Deepest Desires, have you noticed how elusive they are? They’re a Siren, beckoning and disappearing into the mist, again and again. Of course, most of us just repress them as unavailable or forbidden. So the first step toward moving into our Mission is to stop repressing our Deepest Desires. The Stellium advises us to use a feminine approach when pursuing them. We do that by eschewing analysis of our Emotions and trusting them as Instincts. We honor the Mystery by using PIAVA rather than Plan-Execute, again, to avoid wasting intellectual Energy on trying to masculinize the process. One of the first “rules” of Jungian thought is “Don’t seduce your Animus/Anima.” What that means is that you want your Inner Male/Female to be an integral part of your Egoic Self, not an Other from which you (your unmerged Ego) seek gratification. A good way to do that is, rather than pursuing our Deepest Desires directly, we PIAVA to feel the way we will feel when our Deepest Desires are fulfilled. That way we bypass the Siren and go straight to the Essence of our Mission. Swallowtail Selenite, a Crystalline form of Gypsum or Calcium Sulfate. The same stuff that the inside walls in your house are made of. Like Feminine Power – often so subtle that it’s not even seen, but what would you do without it? Look at those subtle colors! “The Core Issue is the Mysterious Relationship between our Soul’s Path and our Personal Mythology. And the way that Mystery is Changing, as our Personal Mythology changes, and as our Soul’s Path evolves and adapts to the Choices our Ego makes. “As in any Yin Gate, there are two Subsidiary Issues. The first is the Mysterious Relationship between the concept of Order in your Personal Mythology, and the concept of Beauty in your Personal Mythology. Do you know what it means to a Native American to ‘walk in beauty’? “One of the other Oppositions in this Yin Gate is between Venus and Saturn. “And the second Subsidiary Issue is the Mysterious Relationship between the concept of Miracle in your Personal Mythology, and the concept of The Feminine in your Personal Mythology. A Yin Gate is a Golden Rectangle (two parallel Trines with Sextiles between their ends, the blue lines) with embellishments – namely a planet that bisects each Sextile. The two bisecting planets create back-to-back Fingers of God or Yods (the green lines) with the opposite corners of the Golden Rectangle. Which means that there are three equally spaced Oppositions involved (the dark red lines). In a Golden Rectangle, the two Oppositions provide the Energy, and describe any conflicts or Learning Opportunities that might arise. But in a Yin Gate it’s the central Opposition that provides the Energy and intrigue, by virtue of the back-to-back Fingers of God. A Finger of God (two Quintiles from a third planet to each end of a Sextile) basically means Pay Attention to this! In this case the Core Issue is realignment of the Balance between the Yintegrity that we’ve been working with since 2012, and the re-examination of our deepest Values, which we’re in the middle of. As if any combination of the The Sacred (Vesta) and Sustainability (Ceres) isn’t important, the involvement of the North Node means that new parts of our Mission in the Lifetime are coming into Consciousness. Mars brings Energy and Excitement into this Renaissance. And the Moon manifests it from Potential into Form. We’re bootstrapping a whole new way of doing business with Other (primarily Other People, but also any Entity other than what we habitually think of as Me and whom we habitually Defend as Me, which for most of us includes the Planet). We’re basically starting over in July, rebuilding all of our Relationships on a very different footing, one based on Compassion. Social Self 1.0 was based on Reaching Out (Libra), 2.0 on Barter (Capricorn), 3.0 on Excitement (Aries), and Social Self 4.0 will be based on Nurturance (Cancer). Let me repeat that with emphasis, because it’s critical for the Planet. There is something you Want very deeply. Never give up on that; it’s one piece of the jigsaw puzzle called Planet Earth. When you encounter any reason why it’ll never work, forget everything you know, quickly PIAVA Both/And, and Change the Subject. Yintegrity means doing what we feel like doing, moment to moment. Yangtegrity means doing what we said we were going to do – the traditional measure of Integrity in a male-dominated World. In order to live in Yintegrity we probably have to reduce our Commitments, renegotiate broken Agreements, and make Amends when necessary. Avoid Explaining yourself whenever possible. Not hard to see the connection between our Yintegrity work and Sustaining what we hold Sacred. Saturn tells us that maintaining our Yintegrity – not giving away our Power or allowing someone we Love (or someone we don’t) to have Suzerainty over us – is The Most Important Thing. We’ll be continuing our re-examination of the Sustainability of our Deepest Values in the context of our Yintegrity, not the other way around. When there appears to be a conflict between Yintegrity and the Sacred, it’s your understanding of the Sacred that needs to be renegotiated, remembering that Now we see through a glass darkly. There abide Faith, Hope, and Charity, and the greatest of these is Charity – there is no Love without Self-Love, and Yintegrity is the purest form of Self-Love. With reduced Commitments, Renegotiation, and Amends, Yintegrity is also the purest form of Other-Love, as it eschews deception on all levels. Yes, it sounds like Chaos when you’re in Resistance or attached to the status quo, but the status quo is Unsustainable. So what’s that upside-down T all about? There is no planet at the upper right corner of the blue box in the picture above. This is the 18-degrees-of-Virgo Vacancy that will draft you into serving the Collective version of the Yin Gate if you have a natal planet or other “hot spot” there. Okay, this isn’t really a Yin Gate – it’s missing a foot! To avoid discriminating against the disabled, we call the missing foot a Vacancy, and invite one and all to fill it with a token from their Nativity. True, but we should put it this way too. It takes six points in alignment to make a Yin Gate. When we have five of the six points, the Yin Gate is there in Potential. We manifest it into form by invoking the Vacancy. We can do that in several ways. We can find someone who has a planet or other hot astrospot close to the Vacancy; they’ll be sort of a living key for opening the Yin Gate. We can look for an obscure asteroid or a fixed Star hanging out there, and cast the implied meaning of the ‘roid or Star as the key that opens the Gate. “A Ouija Board: the ability to contact deeper recesses of the unconscious psyche, and sensitivity to psychic intimations and omens.” That certainly very much complements our work finding a Sustainable Sense of the Sacred, and dropping enough of our Masks to find our Yintegrity. In fact, it’s probably necessary work for the task! 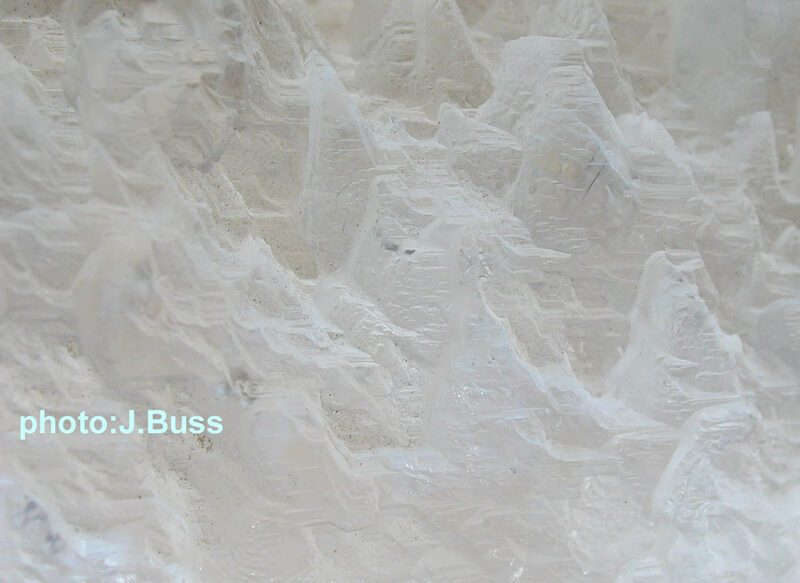 A prime purpose of the PIAVA process, embedded in the Pay Attention part of it, is to become sensitive to psychic intimations and omens – aka the Unconscious Surround that we haven’t differentiated into Consciousness yet. Most especially our self-sabotaging Patterns. When we write about the second element of the Full Moon chart we’ll see how incredible this actually is – the second element is dominated by a Finger of God and a Mjolnir (not just Pay Attention, but also Epiphanies) pointing at Juno, our symbol for the Edge of Consciousness. And shitohdear, why does that Ouija Board sound familiar? Because it’s the very degree of the Pluto-Uranus Initiation in 1965, the beginning of the Yintegrity Cycle we’ve been working on! When we find corroborating evidence like this – several indications pointing in the same direction – we not only know we’re on the right track, but we know that it’s an especially profound process that we’re working on, as the Heavens are making sure we aren’t going miss it! But it turns out there actually is something near 18 of Virgo in the Full Moon chart. The upside-down “T” in the upper right corner of the blue box in the picture below is the symbol for a “Midpoint,” which is just a point halfway between two planets. Midpoints are sensitive places in a chart where the Energies of the two planets are blended. Obscure, yes (except perhaps in Germany where their study originated, at least in modern times), but also meaningful. Earlier we referred to it as a “derivative of Lilith” – it’s the Midpoint between Lilith and Ceres. These are some pretty fundamental Goddesses we’re working with here – Ceres or Diana, the Goddess of Grain; Vesta or Hestia, the Goddess of the Hearth (who was honored in ancient Greece before honoring Zeus and after honoring Zeus, giving you an idea of who was really important); and Lilith, the Goddess of Yindependence. Nobody does Yintegrity without first learning Yindependence. Feminine Power often works invisibly. Just as this particular representative of Lilith (we’ll soon encounter another) is “imaginary” or symbolic, Lilith is pulling strings from behind the curtain, through her Midpoint with her co-matriot Ceres. The symbol we routinely use for Lilith Energy is the second center of the Moon’s orbit around the Earth. The Moon’s orbit is an oval, and ovals have two centers. One is the Earth. The other is a place in the Heavens that we call Lilith. There is a subtle intimation that you may not get your macaroni unless you respect Ceres – certainly it’s true that you won’t get fed psychically without seeking your Yintegrity. Whew, that’s a lot! And it’s only the first of four major themes in the Full Moon chart. How could I summarize this? I’d just say Wow! Zowie! This is Big! If you’ve lost the plot, go back to the parts in red and burn them into your eyelids in a large font.